In hindsight, it's now apparent that Microsoft's plan last year for promoting Windows 10 on PCs had less to do with the single decision to give away upgrades than with a radical scheme that relied on an unprecedented distribution strategy. In the last 12 months, Microsoft has carefully unveiled several steps to boost Windows 10's adoption. At each step, Microsoft touted customer benefits, even as it took measures that no operating system vendor had used to boost adoption, even as some of those steps generated criticism from users who balked at the new practices. It's impossible for those outside Microsoft's inner sanctums to know whether the moves the company made were an inclusive strategy that was pre-ordained, an ad hoc series that was crafted on the fly, or a set of contingencies that, like a BASIC program written by Bill Gates decades ago, was a list of IF-THEN statements, some called in play, others discarded and thus unknown to the public. The course Microsoft's taken sure seems like a planned strategy, or at least, one with multiple choices at various points. Evidence of that lies largely in the work Microsoft did ahead of time on Windows Update, the 21-year-old update and maintenance service almost exclusively dedicated to delivering security patches. Microsoft has added significant functionality to Windows Update in the past year so that it can support upgrades from one OS edition to another. If successful, Microsoft's Windows 10 distribution strategy may be mimicked by others, becoming the new normal. If not ... well, Microsoft has one weapon to make sure that the strategy is successful, come hell or high water. On Jan. 21, 2015, Microsoft executives announced that Windows 10 would be a free upgrade to current users of Windows 7 and Windows 8.1 for a one-year span starting when the OS was released. Although Microsoft did not immediately spell out exactly who got the free upgrade -- it did eventually, tapping those running the consumer and professional editions, but not the enterprise SKU (stock-keeping unit) that's prevalent in large organizations -- it trumpeted the deal as a win for everyone, promising not only the free upgrade and the usual advances in security and functionality, but also a constant stream of improvements over the lifetime of the operating system. "Once a device is upgraded to Windows 10, we will be keeping it current for the supported lifetime of the device, keeping it secure, introducing new features and functionality to our customers over time," said Terry Myerson, then the head of the OS group, a year ago. For as much publicity as the free upgrade and the concurrent pledge of an always-evolving operating system got, neither of those moves was a first: Mobile operating systems, notably Apple's iOS and Google's Android, had been distributed and updated in the same fashion for years. Apple had also given away its OS X upgrades since 2013 with that year's Mavericks. But it was still a stunning departure for a company that historically milked the last drop of revenue out of Windows. March-June 2015: Get your copy here! In late March, Microsoft began seeding some of the PCs eligible for the free Windows 10 upgrade with an application dubbed "GWX," for "Get Windows 10." The GWX app was eventually pushed to all eligible devices via Windows Update. Microsoft served GWX silently -- most users automatically got it without knowing -- but kept it hidden for weeks or even months on customers' PCs. Microsoft triggered the appearance of GWX on PCs on June 1, at which time users could "reserve" a copy of the Windows 10 upgrade through the app. The reservation was essentially a way to queue customers for the day when the OS was to launch, since there was, of course, no shortage of copies to be handed out. There were good reasons for getting customers to line up for the upgrade: By delivering the Windows 10 bits in "waves," Microsoft could better manage the load on its servers and content delivery network. It could also use the process to iron out bugs and fix problems that those first in line might encounter, and try to minimize those proactively by using GWX to scan each system for upgrade compatibility before "confirming" the reservation. But Microsoft's plan also generated an artificial sense of urgency, a tactic long used by sellers to drum up interest. No operating system had been promoted in that way before. iPhone owners, for example, have never been asked to "reserve" a copy of the next version of iOS, for the simple reason that there has been an endless supply. The effectiveness of GWX and its reservation process in producing urgency was demonstrated by the outcries on Microsoft's own support discussion groups from customers who didn't receive GWX, couldn't find it where it was supposed to be, asked why they had not been able to claim a copy of the upgrade, or wondered how they could grab the bits without GWX. 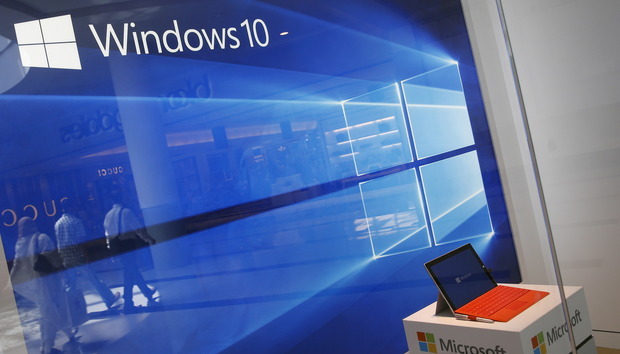 As launch neared, Microsoft began serving the Windows 10 upgrade files to customers who had reserved it. It did not notify users when it flipped the switch -- they effectively authorized the download when they asked for the upgrade earlier -- but delivered the bits in the background. Although the pre-loading of the upgrade was supposed to take place while the PC was not being used or was hard at work, some users reported symptoms ranging from a slow-down in accessing the Web to stuttering video or audio streams as their usable bandwidth unexpectedly shrunk. In itself, pre-loading the upgrade was not that dissimilar to how any automatic update, including patches for Windows or a new version of Chrome, are downloaded to a user's device. But the timing of the Windows 10 pre-fetching -- before availability -- was unusual. When software makers wrap up development and release the product, they release it: It makes no sense to withhold it from customers when it's finished, but instead push it to their devices to await an installation date and time. At some point after the July release -- exactly when is unclear -- Microsoft began pushing the Windows 10 upgrade files to some PCs running Windows 7 and Windows 8.1, even though those customers had never requested an upgrade using the GSX app. The practice went public in September, when users on metered-and-capped Internet plans began reporting that they had gone over their limits. It turned out that their PCs had downloaded the large Windows 10 upgrade without their consent. Initially, Microsoft said it was simply following "an industry practice" in placing the Windows 10 upgrade on eligible devices. It later disowned that claim, however, but maintained that it would continue to automatically download the files to PCs that had automatic updates enabled in Windows Update -- the recommended and default setting -- and the one that the vast bulk of consumers leave as is. No other desktop OS does this. By default, Apple's OS X, for instance, does not download the now-annual upgrade in the background without some explicit user action, even though the upgrades are, like Windows 10, free for the taking. Users can flip a switch in the Mac App Store's preferences to change this behavior, though. But some operating systems do behave similarly: Apple's iOS will eventually download an upgrade onto an iPhone if the user has previously declined to retrieve it after seeing several nag notices. iOS will not initiate the actually upgrade process, however, without approval. Still, Microsoft's move was jarring to those who had no interest in changing to Windows 10, and who were upset that Microsoft chewed up bandwidth and hijacked several gigabytes of storage to download and store the upgrade. The disconnect between Microsoft's behavior and user expectations had several sources. Two are paramount: This is the first time Windows users have faced a free upgrade, first of all -- Microsoft is in uncharted waters on a whole host of issues that have never been raised in the Windows world -- and secondly, desktop PC owners in general view upgrades as riskier and less compelling than do mobile device owners. That's particularly the case in the Windows ecosystem, where a seemingly-unlimited number of combinations of hardware configurations and peripherals, drivers for all that, and software make for a witch's brew of problems that can stymie an upgrade or cripple a computer. In late October, Microsoft announced the next step in its distribution strategy: It would push the Windows 10 upgrade to eligible PCs automatically, then kick off the upgrade process. After that -- Myerson said in early 2016, but wasn't more specific than that -- Microsoft will shift the Windows 10 upgrade to the "recommended" list. Updates on that list are automatically downloaded and installed on most PCs. Because it's an upgrade, users will have the opportunity to cancel the upgrade once it begins. Microsoft has a history of using this two-step with many of its Windows 7 and 8.1 updates of first ticking an item as optional, then after some time digesting telemetry from customers to see if there are any showstoppers, switching the same item to recommended status. But this procedure is unparalleled, not only for Microsoft, but also for OS vendors in general. While mobile operating systems, such as iOS, will download to the device and then nag the user into installing, none actually launch the installation action without explicit user approval. Microsoft is clearly banking on substantial uptake from this measure, and seemingly doesn't care whether Windows 10 is installed because the user chooses to do so or wearies of the nagging as the upgrade begins, even if the upgrade is canceled multiple times. That's evidenced by the blowback from some users -- who have rebelled against the less aggressive moves made thus far -- and Microsoft's plan to carry on in the face of that resistance. Although Microsoft has said the Windows 10 upgrade will not complete without user approval -- "You will be clearly prompted to choose whether or not to continue [the upgrade process]," said Myerson in an Oct. 29 blog post -- it's possible the company has the next logical step on its strategy list or among its contingencies. Some cynical users have wondered for months, since Microsoft first put the Get Windows 10 applet on customers' PCs, really, if the firm might dare to take the radical step of not only downloading and initiating the upgrade, but completing it as well. Microsoft could justify such an action if the widely-used Windows 7 was nearing retirement, but that's still four years off. (Windows 7 exits all public support on Jan. 14, 2020.) If it were to make this move, it would need to do so before the end of July 2016, or extend the free upgrade offer beyond the current 12 months. It's conceivable that Microsoft would trigger an automatic upgrade if it felt its back was to the wall because of lackluster Windows 10 adoption or believed that without such a step it would fail to meet its publicized goal of putting the new OS on 1 billion devices by mid-2018. Currently, that's not the case. While Windows 10's uptake tempo has so far not exceeded that of Windows 7's during the latter's first five months of availability in late 2009-early 2010, nor has its shortfall been significant. Meeting the bar set by Windows 7 has been a major achievement for Windows 10. But the nuclear option is almost certainly on the table, even if CEO Satya Nadella said a year ago that the goal was to, "...move from people needing Windows to choosing Windows to loving Windows [emphasis added." If Microsoft were to trigger an auto-upgrade, expect to hear rationales that evoke past arguments at prior steps in the distribution strategy, including: assertions that customers prefer Windows 10 over predecessors, with statistics backing up the claim culled from Windows 10's telemetry; and assurances the new OS is more secure than either Windows 7 or 8.1 -- historically true enough, as fresh operating systems are resistant to attack until hackers dissect the code and find new vulnerabilities or ways to avoid new defensive technologies.